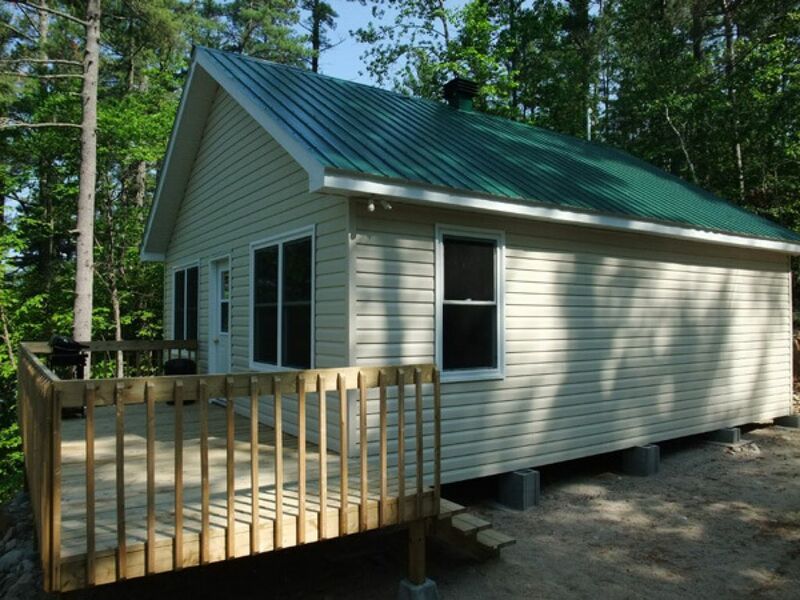 New water front cottage along the Ottawa River (Lake Holden) on the island of Rapides des Joachims. Comfortably equipped for 6 people, new chalet, 2 bedrooms with 1 bunk bed and 1 single bed in each room. Fully equipped kitchen as seen in the photos. Private dock in front of each cottage. Most cell phone companies will send a good signal on the site. In September you will see beautiful fall colours. $895.00 per week 7 nights. $195.00 per night, $390.00 for 2 nights, $585.00 for 3 nights. This two bedroom cottage can accommodate up to 6 people comfortably with 6 single beds. $995.00 per week 7 nights.